Triangle Taper lines have a continuous forward taper in the head of the line for the first 27 to 40 feet depending on the application. This provides an efficient transfer of casting energy as it unrolls because the heavier line is constantly turning over lighter line. This design also gives you a more delicate presentation because the weight is away from the fly. It is also well suited for roll casting at distances up to 60'. 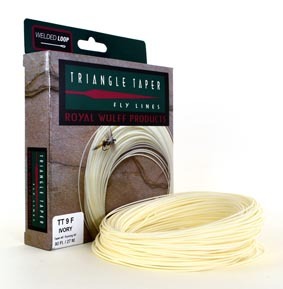 The combination of a long weighted section and a light running line make the triangle taper cast like a shooting head for distance. A short heavy head line based on the proven triangle taper. Available with a contrasting integrated shooting line and front welded loop for convenient changing of leaders and tips. Fishing in tight quarters with very limited back cast room. The short heavy head facilitates quick loading and efficient turn over when using heavy flies. 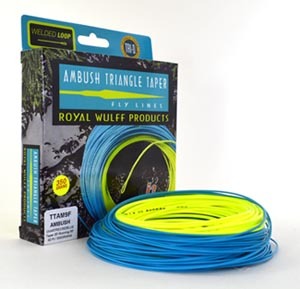 The short rear taper makes roll casting and shooting line easy and lends itself to the various single hand spey casts. The heavy head "digs" in the water surface, slowing the line speed, in the typical down and across presentation, making it ideal for swinging soft hackles or stripping streamers.